Unfortunately, road accidents are increasingly common. With more and more vehicles on the road each year, the numbers of injuries and fatalities are on the rise. Although everybody accepts some level of risk when they get in a car or vehicle, a lot of accidents can be avoided by driving safely and following the rules of the road. If you’ve been injured in a road accident which was caused by somebody else’s negligence or dangerous driving, it’s likely we’ll be able to help you make a compensation claim. Car accidents can cause serious injuries to passengers and drivers. But all road users are at risk – especially cyclists, motorcyclists and pedestrians, who have very little protection from the traffic around them. To make a claim, your road accident needs to be someone else’s fault. We know it can sometimes be difficult to tell who’s at fault, but our advisors will let you know whether you’re likely to be able to make a successful claim. You can reach them for free on 0800 234 6438. They’ll then be able to pass you on to a specialist solicitor, who can answer any more questions you might have before getting in touch with the other party and starting your case. The consequences of road accidents can be devastating – you might be facing a long recovery time, or your injuries might even be permanently life-changing. On the more serious end of the scale, road accidents can lead to amputation, internal injuries, or crush injuries. In some cases, they can even be fatal. Whiplash is very common after a road accident. Although it usually heals on its own, it can be extremely painful and can limit your movement, affecting your quality of life and ability to go to work. Other neck injuries, such as fractures, can happen at the same time as a whiplash injury. For a guideline figure of how much compensation you might be able to receive for your type of injury, you can visit our compensation calculator. In most cases your compensation will be paid by the other driver’s insurance company, as all drivers are legally required to take out insurance before they’re allowed to drive a vehicle. This means you won’t be putting anyone under financial pressure by making a compensation claim. Simply put, everyone who’s been unfairly injured in a road accident deserves to receive the support they need to move on with their life. If you’ve been involved in a hit and run accident, you might be worried that you won’t be able to make a claim because you don’t have the other driver’s insurance details. Or maybe the other driver has been identified, but doesn’t have any insurance. If you’re involved in a hit and run accident it might sometimes be possible to track the driver down using their registration number. But if they’re completely untraceable or if the driver is uninsured, you can still make a claim – in these cases, your compensation will be paid by the Motor Insurers’ Bureau (MIB) under the Untraced Drivers Agreement or the Uninsured Drivers agreement. All insurance companies have to pay money into the MIB each year so that victims of car accidents (such as hit and runs) can receive the compensation they need. Note down the colour, make, model and registration number of the vehicle they were driving. Get the names, numbers and addresses of any potential witnesses so you can take witness statements off them later if needed. Report the incident to the police within 14 days and get a police log/reference number from them. If you are hurt, seek medical attention immediately. If you have comprehensive insurance cover you need to claim for any damage to your vehicle from your own insurer – since August 1015 the MIB will only consider vehicle damage claims if you don’t have comprehensive insurance. You can, however, claim from the MIB for any personal injury you have suffered. The steps are similar if you’re involved in an accident with an uninsured driver, but you should also take a note of the driver’s name and address. If the driver claims they were driving a company car, take down the name of the employer. All roads and pavements should be properly maintained and safe for vehicles and pedestrians to use. Potholes, cracks in road surfaces or poorly planned junctions and road markings can be dangerous for road users. If your accident was caused by poor road conditions or by hazards such as diesel spills, drain covers or debris, then your claim will be made against whoever is responsible for that stretch of road – usually the local council or Highways Agency. This video gives a basic over of the claims process for road traffic accidents, and information on the fast-track system. Can you still claim if the other party says they’re not to blame? Quite often, it’s difficult for you to tell straight away who’s fault a road accident was, because the two parties involved can have completely different versions of how the accident happened. The shock and trauma of being involved in a road accident can make it difficult for you to give a judgement on what happened, but our specialist solicitors will sift through the evidence and come to an honest decision as to who was at fault and whether you’re likely to be able to make a claim. Being in a road accident is shocking, so it can be difficult to remember the best steps to take. But if it’s possible for you to do so, collecting some details can make things easier when it comes to making a compensation claim. 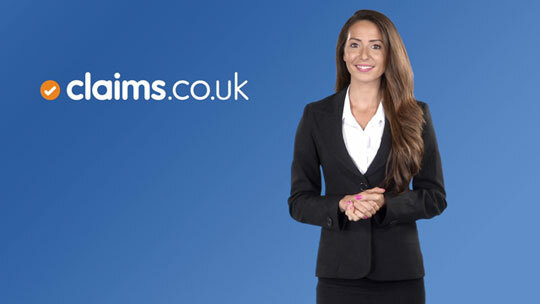 All claims with us are made on a no win no fee basis. This means you won’t have to pay your solicitor any money if your claim isn’t successful. The benefit of no win no fee is that there’s no financial risk involved – if you don’t’ receive any compensation, then you won’t have to pay out of your own pocket. If your claim is successful, then your solicitor will charge a ‘success fee’ out of your compensation. This amount will have been agreed before starting your case, but you can feel sure that this will be a relatively small portion of the money you receive. In most cases, you need to start a personal injury claim within three years of your accident happening. It’s always best to talk to a specialist solicitor as soon as possible after your accident while everything’s still fresh in your mind. This also often makes it easier to gather evidence. If you’re claiming on behalf of your child, they have until they turn 21 to make a claim; and if you’re claiming on behalf of someone under a mental disability, the three-year period doesn’t start to run until they’ve regained their mental capacity. If the ‘value’ of your RTA claim is between £1000 and £25,000, your personal injury solicitor will usually use the Claims Portal, a UK Government procedure set up to fast-track claims for personal injury. Most RTA claims brought through the Claims Portal are resolved within four to nine months. For higher value claims, your solicitor will need to go through the traditional claims process which will take longer and can be delayed if, for example, the other party deny liability or if there’s a delay in getting expert medical reports. If your injuries are more severe, your solicitor will want to wait until you have a final prognosis for your recovery. This is so they have a better idea of how your injury will affect you in the future, which means they’ll be able to make sure you receive all the compensation you’re entitled to. Even if the accident was partly your fault – for example, if you walked out into the road without looking properly and were hit by a car that was going over the speed limit – you might still be able to make a compensation claim. The assessors, or the court if the case goes that far, will give you compensation if someone else was partly to blame, but this will be reduced depending on how much they think the accident was your fault. For claims below £25,000, the Pre-Action Protocol for Low Value Personal Injury Claims in Road Traffic Accidents applies. This sets certain standards which the people involved in an RTA claim are expected to follow. the claimant’s solicitor receives the fixed costs at each appropriate stage. It sets guidelines on how medical reports should be used in your case, and also gives time limits for when information (such as the claim notification form and the defendant’s response) must be sent, as well as for when interim payments should be made.